Bring out your inner gamer! 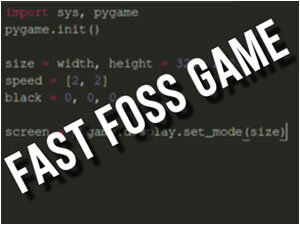 The fastest open-source videogame development competition returns: Fast FOSS Game. Once the Euskal Encounter has begun, we will propose a theme and you must develop a free videogame around it in a limited amount of time. Of course, the game must be usable on GNU/Linux systems, all resources, libraries and/or frameworks used must be freeware, and the result must be licensed per OSI agreement (or a combination of several compatible arrangements). We will present all the games on wide screen! The games will be tested on an updated Arch Linux system with Intel GPU. Any package in the main Arch Linux repository may be used as a dependency, provided this is indicated in the README file. HTML5 games to be tested on the latest version of Chromium available in the repository are also admissible. The results must be submitted in source code format together with a list of required dependencies and instructions for compilation.